Today, many surgeries of the eye can be performed using techniques that allow your ophthalmologist (Eye M.D.) to use just topical drops or injectable anesthetics to completely numb your eye before your surgical procedure rather than putting you to sleep using general anesthesia. If you are not an ideal candidate for topical anesthesia, peribulbar anesthesia is an excellent option. 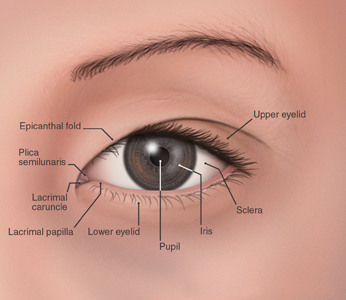 Peribulbar anesthesia is the injection of a local anesthetic around the eye that completely numbs the eye. First, your ophthalmologist applies a topical anesthetic (eye drops) to numb the injection site between your eye and the lower lid. Then, the ophthalmologist introduces a needle to inject a local anesthetic. In some cases, a second injection is required at another site. Your eye is completely numb, and you feel no pain during surgery. The anesthetic also immobilizes your eye so that your ophthalmologist can perform your surgery quickly and easily. By using peribulbar anesthesia, your ophthalmologist ensures that you are as comfortable as possible during and following surgery. Since you will not be put to sleep using general anesthesia, your recovery time after surgery will be much quicker, and you will be able to go home the same day. Though very safe, there are some risks associated with peribulbar anesthesia, as there are with most medical procedures. These risks are due to the anesthetic, as well as to the injection procedure itself. These risks include hemorrhage in the eye socket, perforation of the eyeball, and damage to the optic nerve. Should you experience any complications due to this procedure, it is possible that your doctor will have to cancel and reschedule your surgery. © 2019 Copyright West Coast Glaucoma - All rights reserved.